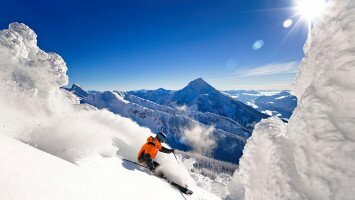 Sitting on the east side of British Columbia, the Monashee Mountains receive over 10 meters of snow each winter and are hailed as one of the best regions in North America for skiing and snowboarding. With so many mountains in its arsenal, like Revelstoke Mountain Resort, you couldn’t find a better playground for intermediate and advanced freeriders. 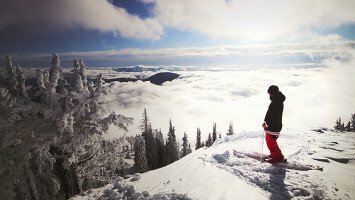 The Monashees region offers everything from glaciated terrain to some of the best tree-skiing in the world. The best thing about booking with us is that we are unbiased. We don’t have exclusive contracts with selected resorts, operators or skiing providers in the Monashees, but rather have them all to make sure you get exactly the holiday you are dreaming of. No compromises, no sad faces - as we offer the widest collection of alternatives for skiing in the Monashees. "These were the best holiday in my life. Thanks to Bighorm Team for taking care of every little detail. See you again next year"
"Years after years Selkirk proves it’s quality. Been here 4 times and I’ve never been disappointed. Great staff, nice lodge, awesome terrain. 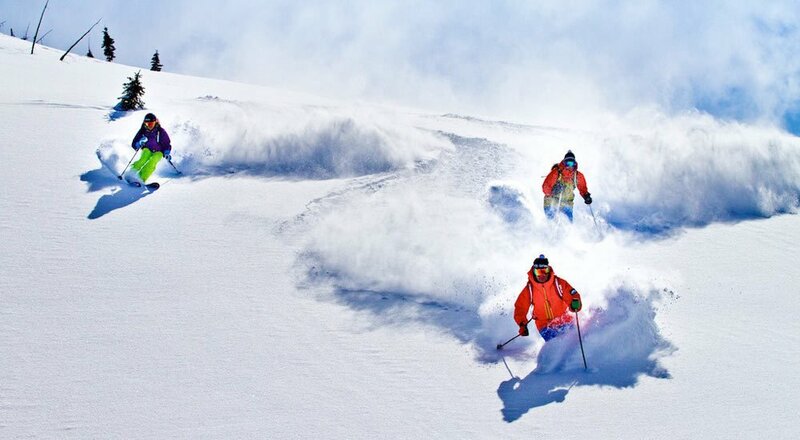 Would recommend it to anyone who wants an ultimate powder experience." "This place is so good that I keep coming back here year by year. When I discovered it, I was amazed by the amount of slopes cover with a thick layer of fresh pow. 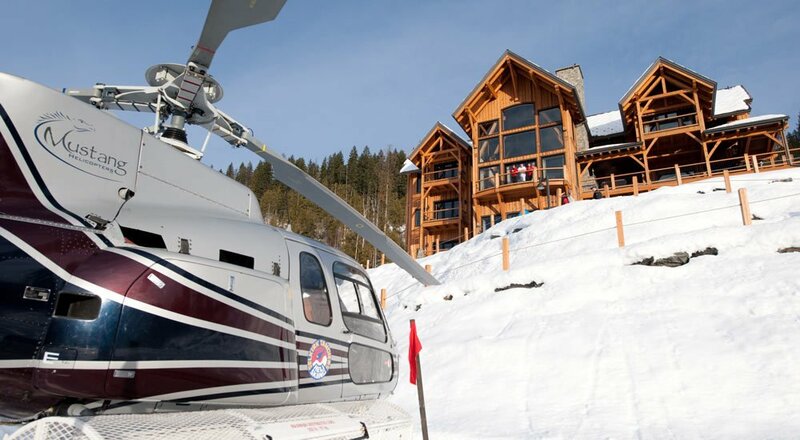 Coming to Mica for the 1st time, my initial impression was: Cozy lodge and very good service..."
The Monashees offer a field of incredible heli and catskiing operators. Their lodges put on ultra-luxurious accommodation with a full range of amenities and unparalleled service for groups of up to 16. 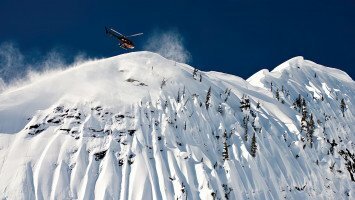 Guests will have access to thrilling heliski opportunities from the private helipad, as well as catskiing and local backcountry guides. 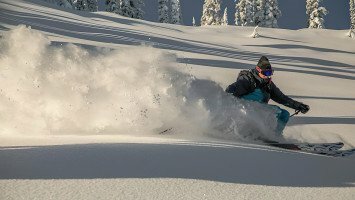 The Monashees are prime for a backcountry sojourn, seeing loads of light and fluffy powder year after year. Big Horn Heli Lodge in Revelstoke is a unique and globally renowned operator. 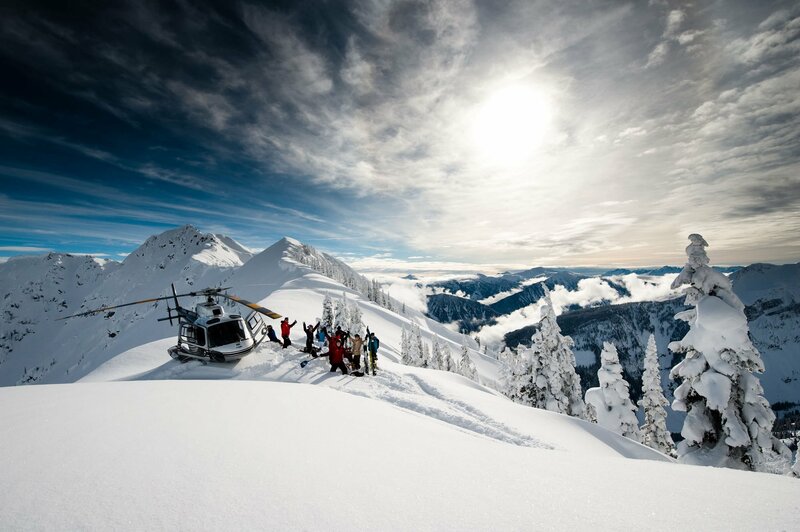 It has a private helipad, so getting out into the pow is even easier for you and your crew. You’ll love the unlimited vertical with cat skiing and direct access to trees, deep bowls, and glaciers. 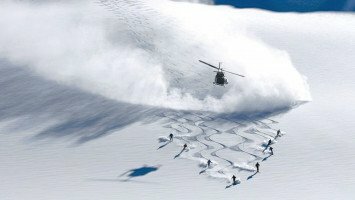 Whether heli or catskiing has been on your bucket list for years or you’re a backcountry aficionado, the Monashees is the perfect place for you. 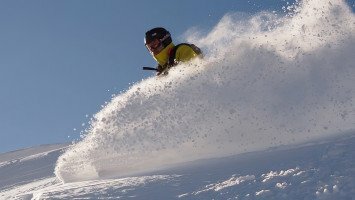 The Monashees are famous for consistent amazing snow conditions. A huge 12 to 18 metres of powder each season is commonplace out here, so expect your powder addiction to be satisfied. 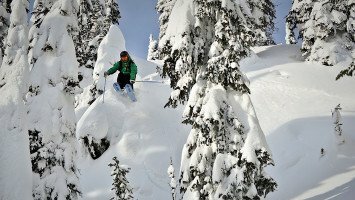 The trees are the place to be if you’re a powder junky, with tree runs galore throughout the Monashees. Take a heli ski or snowcat trip out to the backcountry for the most exhilarating and memorable experience of your skiing or snowboarding life. 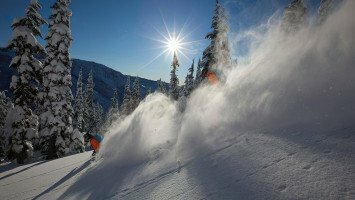 The town of Revelstoke has more than a century of skiing under its belt but has only recently turned itself into a world-class ski destination. 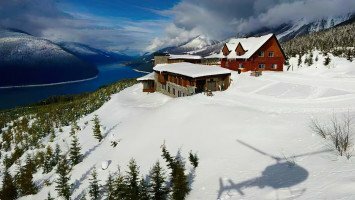 Revelstoke Mountain Resort is Canada’s newest ski resort. It has over 69 named runs, half dedicated to intermediate riding and half to advanced, so your skiing ability will easily be catered to on the 3,121 acres of terrain. 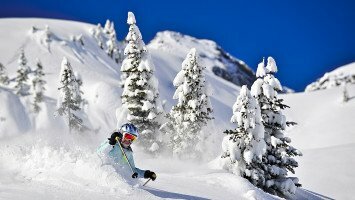 New to skiing or snowboarding? 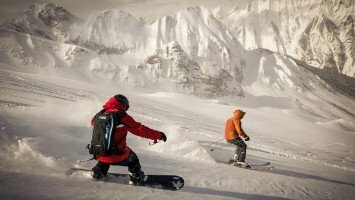 You’ll have two beginner areas to sharpen your skills on, as well as a choice of professional instructors with Revelstoke’s Snow School. Revelstoke Mountain Resort is proudly home to the longest lift-served vertical in North America at 1,712 metres. Thrill riders won’t be disappointed. Mountain Tours are available if you’re less inclined to let chance find you the best features of the mountain. 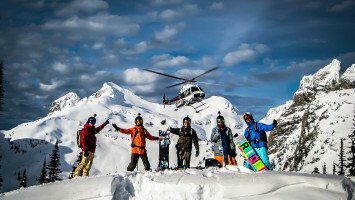 Or get out into backcountry, if exploration, zero queues, and utter stoke is your thing, with some of the world’s best heli skiing and catskiing options on offer in Revelstoke to transport you directly to the region’s virgin snow. 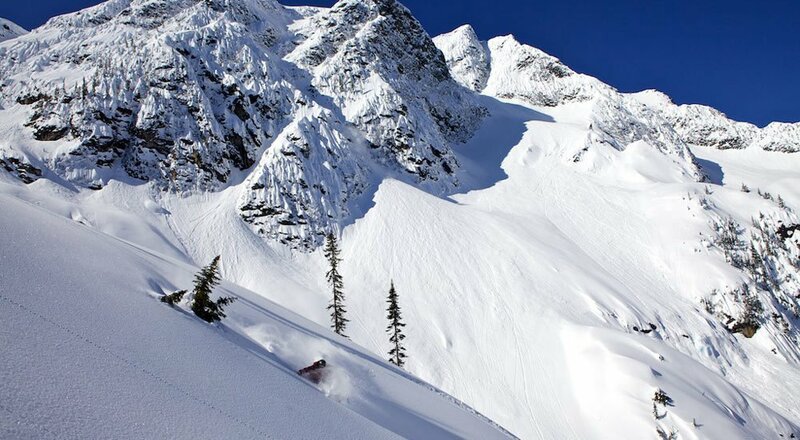 If you choose Revelstoke Mountain Resort, expect to tip your ski tips or board nose at a near-vertical. 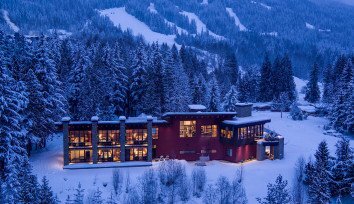 The resort holds onto the title of longest vertical descent of any ski resort in North America. This is what the pros come here for, but it doesn’t mean the region is reserved for them. Intermediate and advanced skiers and riders will love testing their hard-earned skills on a mountain of vertical drops. The world of steep skiing is centred around these parts – if you’re a fan of adrenaline riding, the Monashees is for you.